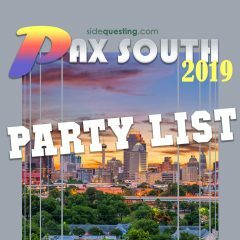 The 2019 PAX South Party List – Parties, events, concerts and more! Whoa! It’s PAX South 2019 already?! I’m still playing PAX West 2016 in my backlog. 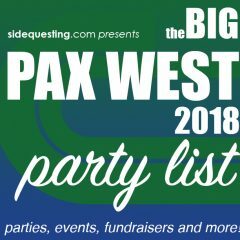 The 2018 PAX West Party List – Parties, events, concerts and more! 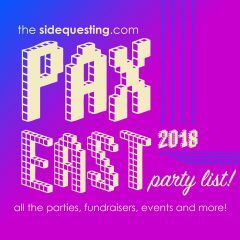 It’s PAX WEST 2018 time! Check out our growing list of parties and events here! 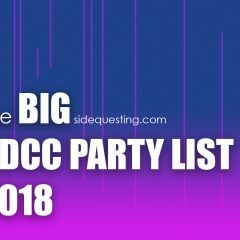 The 2018 SDCC Party List – Parties, events, concerts and more! All the parties you need to know about at SDCC 2018! 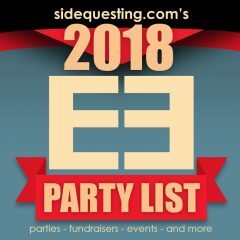 The BIG E3 2018 Party List: Events, fundraisers, after parties and more! 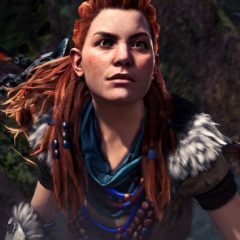 The GIANT E3 Party List is back! 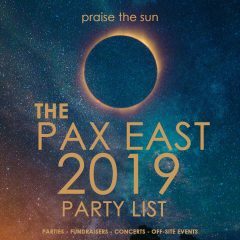 The BIG PAX East 2018 Party List: Events, fundraisers, after parties and more! 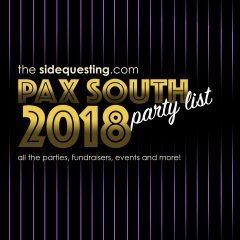 The BIG PAX South 2018 Party List: Parties, Events, and More! Let’s party it up, again!